Asif is from a coastal village on the border of Sindh and Balochistan in the south of Pakistan. He learnt to fish at a very young age and has spent countless days and nights in and on the ocean throughout his life. Asif is a fisherman by profession and an avid and passionate conservationist working towards the betterment of our marine ecosystem. Asif’s resilience and patience have been tantamount to all our progress in Pakistan; he is a true beacon for change and ORP are glad to have him on board. 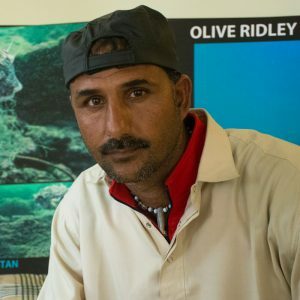 He focuses on educating other fishers in the area, and on the collection, recovery and reuse of ghost nets.